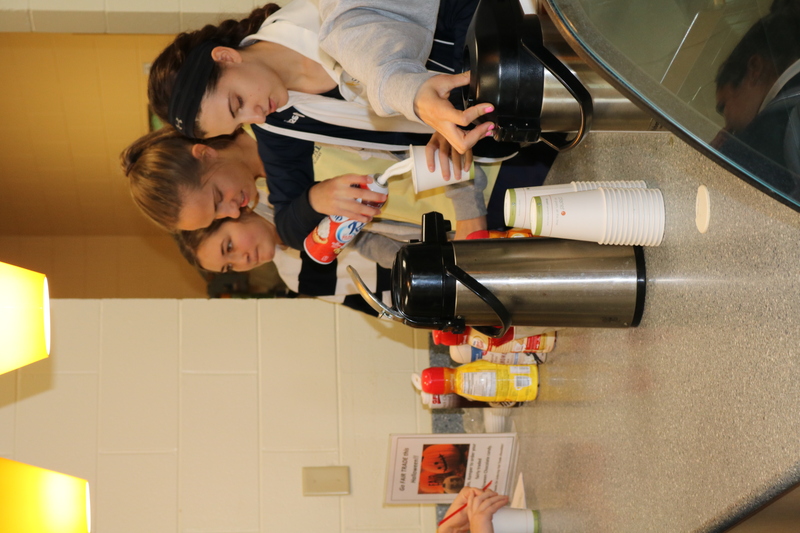 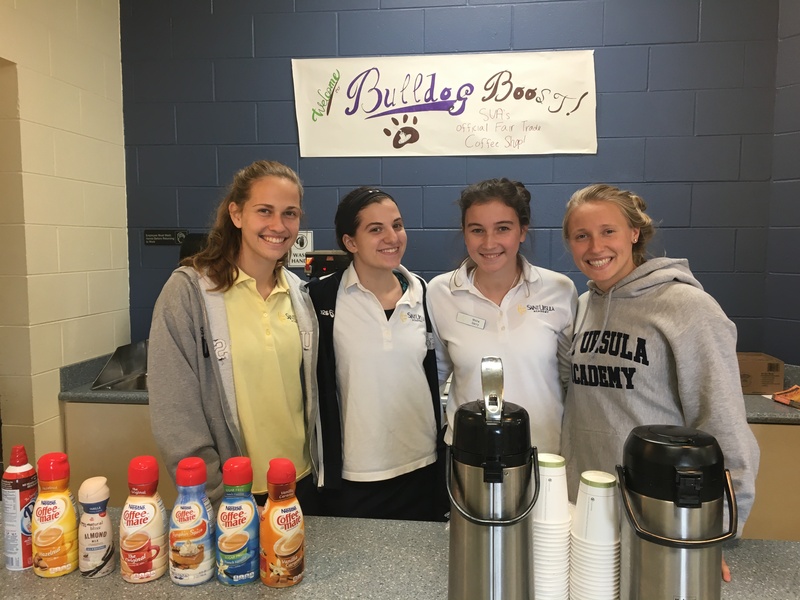 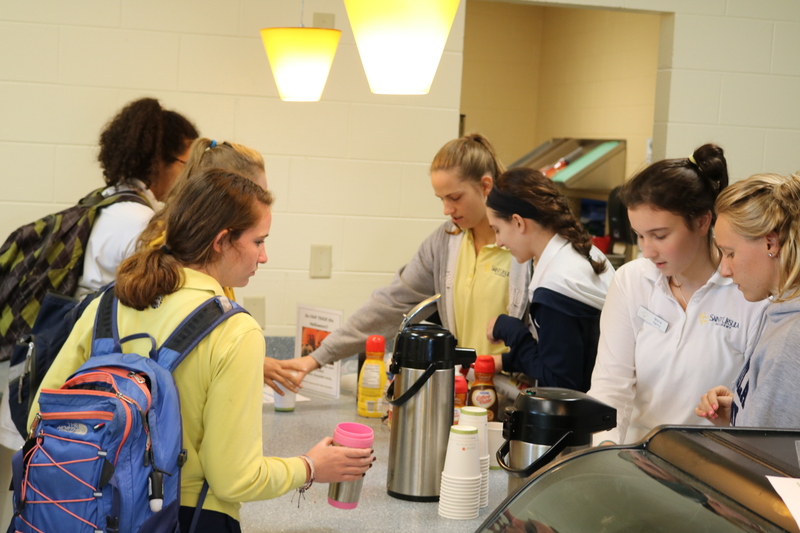 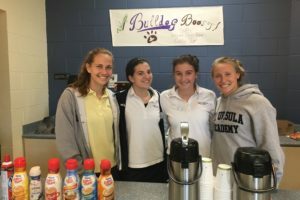 The students created a proposal last school year to start a fair trade coffee shop in our students center. 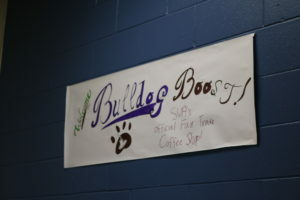 The proposal was approved and since last November, the students have run a fair trade coffee shop that offers coffee, hot cocoa, and fair trade chocolate bars. OPur mascot is a bulldog, so the name Bulldog Boost was chosen because the caffeine gives you a boost and purchasing fair trade products gives those growing and processing the cocoa and coffee a boost. The shop is open two mornings a week and once a week during lunch.